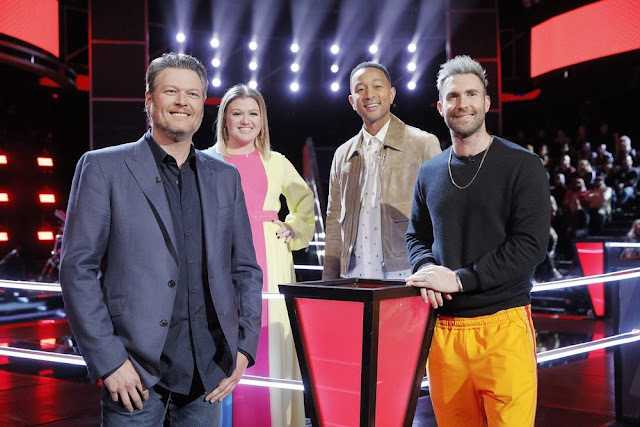 The Battle Rounds of “The Voice” kicks off on Monday, March 19 beginning at 8:00 p.m. For four episodes, the coaches Kelly Clarkson, Alicia Keys, Adam Levine and Blake Shelton, dedicate themselves to developing their team of artists, giving them advice and sharing the secrets of their success, along with help from their celebrity advisers. At the end of The Battle Rounds, only the strongest members of each coach’s roster remain and proceed to The Knockout Rounds. Here, the artists will be paired with a teammate once more, but this time they will select their own songs to perform individually while their direct competitor watches and waits. They are vying for their coach’s confidence and decision to take them to the final and crucial round before the live shows, the Playoffs. Check out a sneak peek of Team Kelly's Battle Round Performance with Brynn Cartelli and Dylan Hartigan. "The Voice" airs Mondays and Tuesday on NBC.